What’s The Point Of The MOBOs..? So, it’s that time of the year again. The MOBOs roll back into town for 2014, returning to the Big Smoke for the first time in years, with the event taking place on October 22nd. And you can bet your house (or rented accommodation) that the ‘whos’, ‘hows’, and ‘whys’ in response to the announced nominations will – pretty much inevitably – not be that far behind. What is it about the UK’s biggest Black music awards that completely polarises opinion across the board..? In the second instalment of our special #MOBOGospel series Jendella makes the case for indifference. What’s The Point of The MOBOs…? I was going to start this thing with a disclaimer, but what’s the point? I don’t really care about the MOBOs. It is what it is. I feel ungrateful, I feel like a traitor, I feel like I may have offended a load of people past and present who have been nominated and won, but what can I say? My actions speak for themselves. It wasn’t always like this. Once upon a time I waited religiously for the nominations. I voted, I campaigned on behalf of others. I whooped and hollered when the winner of the Gospel MOBO was announced – I cared, and I cared deeply about it all. I think most of us “meh-sayers” did care at one point, and there are quite a few of us. Maybe I should start a support group, “Meh About The MOBOs Anonymous”. But I don’t want to boast of my apathy too loudly, because in theory the Gospel MOBO category is one that I should be excited about. On paper it is fantastic. The MOBOs are the biggest award show in the UK catering to ‘Black’ music in all its various forms, and the inclusion of a Gospel category is a stamp of recognition from the mainstream as it means they’re watching our little circle. And it means they care, doesn’t it? Well, to be honest the Gospel category feels a bit tokenistic at times. As someone I know once put it, if the MOBOs was a silver cutlery set, the Gospel category would be the pretty little dessert fork – its actual function and importance in the scale of things is neither here nor there, but it always looks good to have a complete set. I get the feeling that whoever compiles the list of nominations and subsequently chooses the winner has limited insight into the actual Gospel scene and “the key players”. Each year the nominations are announced you can almost count down to the beginning of the “how do they choose this list anyway? !” conversations, with many people chipping in to voice their bewilderment – including many high-profile people within the Gospel scene itself. I have a friend who was consulted by someone who had been privy to the nominations process a couple of years ago. From music artists to music fans there are many who feel that the Gospel category doesn’t reflect what’s going on in the scene, with some obviously worthy people being left out of the nominations, and some “absolute legends” being nominated a couple of times over and not winning anything at all. Who the heck is this panel of experts? Who is consulted when they deliberate over the winner? What’s the qualifying criteria that dictates who gets nominated? So, you’ve won a MOBO. Now what? I mean, we’ve now had a fair few Gospel winners to observe, and what can we say a MOBO win has done for their career that wouldn’t have happened anyway? But then I have to ask myself, what was I expecting it to actually do? “Open doors”? Bring in record contracts? Get the artists airtime on mainstream radio and TV? Or is it literally just a token stamp of approval, a metaphorical gold star for your wonderful presentation in front of the class..? Increasingly the latter seems to be the case. Don’t all jump on me at once, I think it’s important for you to know, dear readers, that I do feel really very ungrateful. Yes, it’s nice to be recognised but if all it boils down to is the empty validation of outsiders who don’t know their Premier Gospel from their UCB Extra, what is the actual point? With or without the MOBO Gospel category, great music continues to be made – and life will go on. 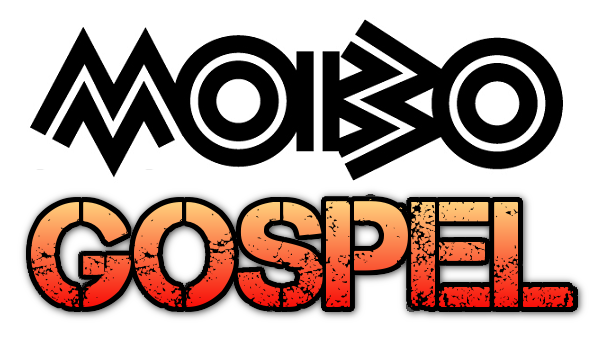 #MOBOGospel Part 3 – Triple O A MOBO Changed My Life…? Jendella Benson is a photographer, film-maker and writer, as well as member of the UKGospel team. You may have heard her previously on one of the UKGospel podcasts. Next Next post: Triple O – A MOBO Changed My Life..? Finally someone has said what we have all been thinking! This year seems to be on the same lines unfortunately.